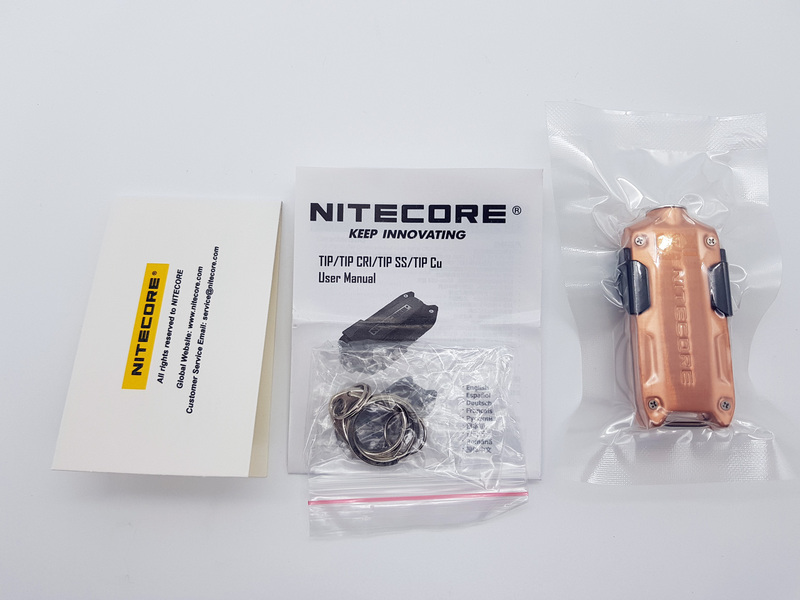 Nitecore TIP Cu was sent to me directly by Nitecore for the review. 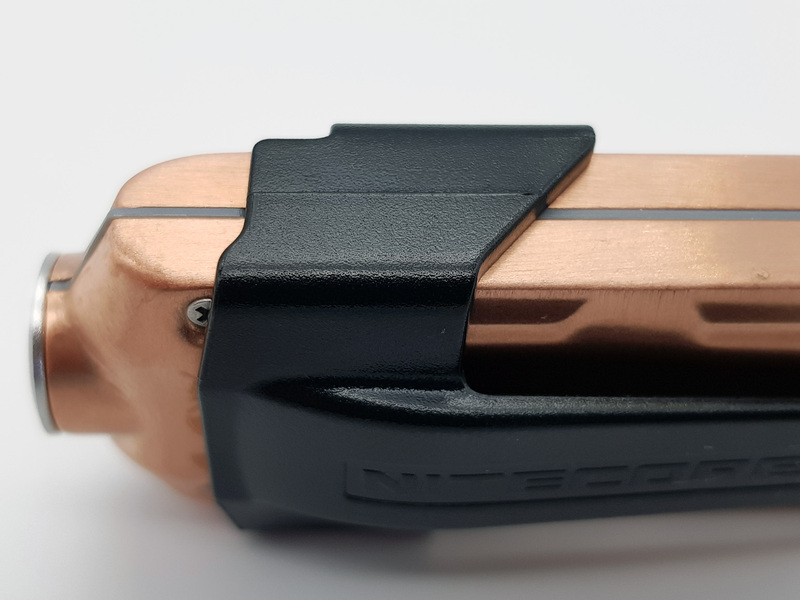 The Nitecore TiP, already on sale with different colors and materials, is enriched with a new copper version. 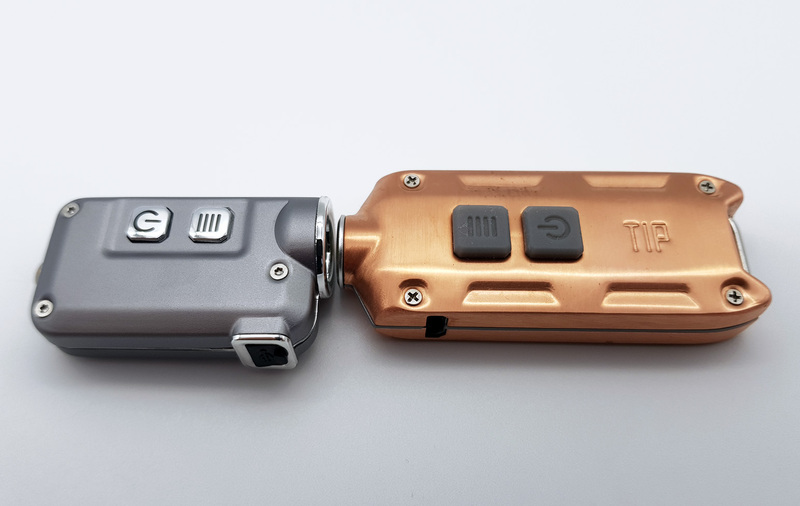 The TIP Cu has a built-in 500 mAh lithium-ion battery rechargeable via USB socket. 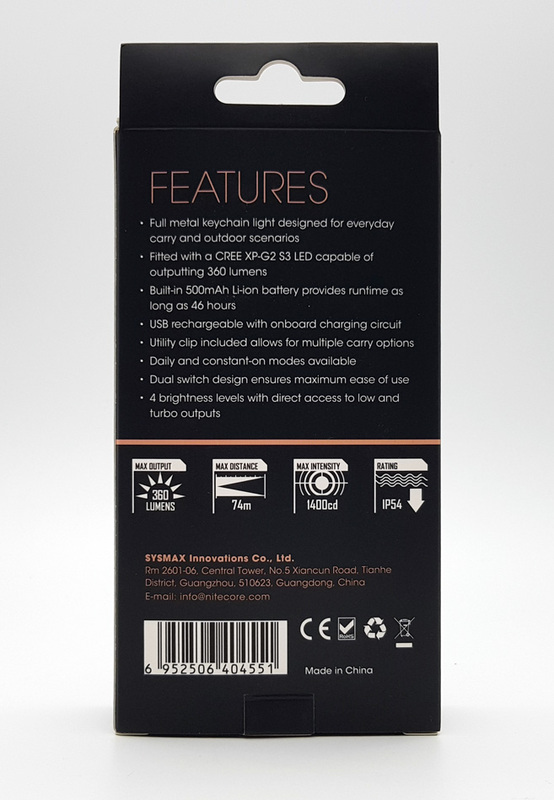 It has double switch and 4 brightness levels with direct access to the low and turbo outputs. 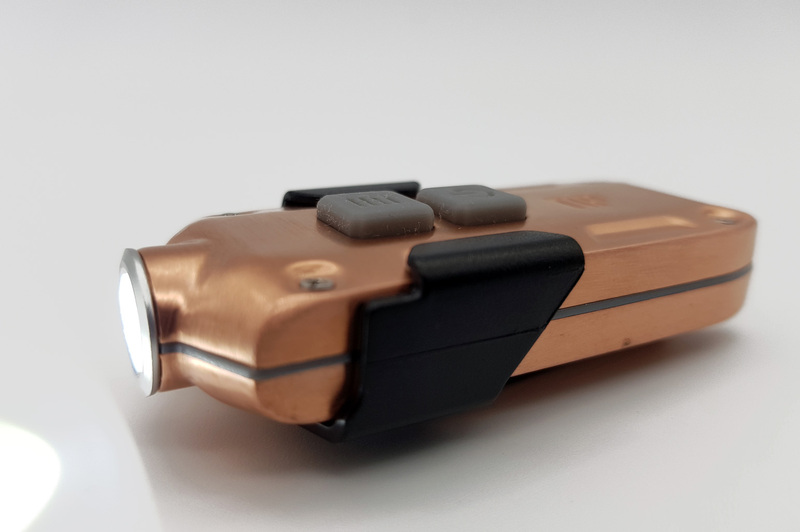 It has a maximum light output of 360 lumens and an autonomy of up to 46 hours. * The runtime for TURBO mode is the testing result before starting temperature regulation. 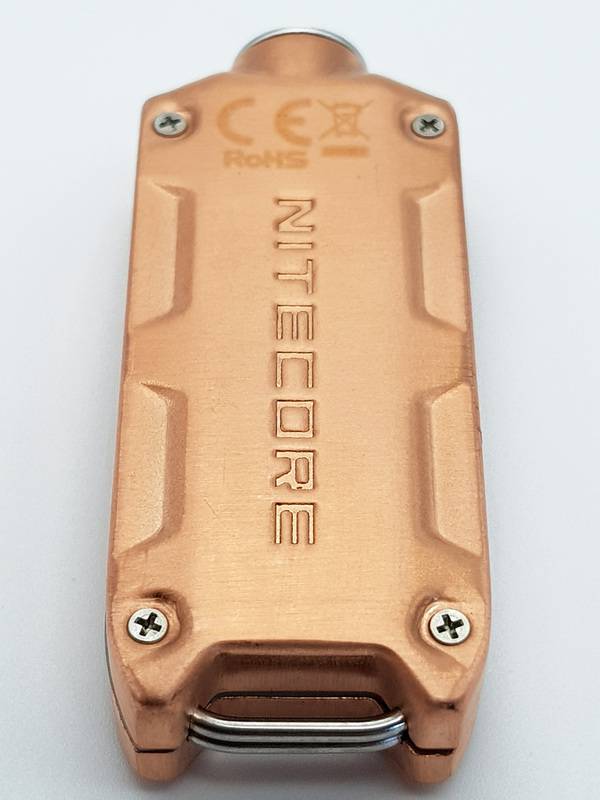 The cardboard package takes up a bit of the colors of Nitecore TIP Cu. 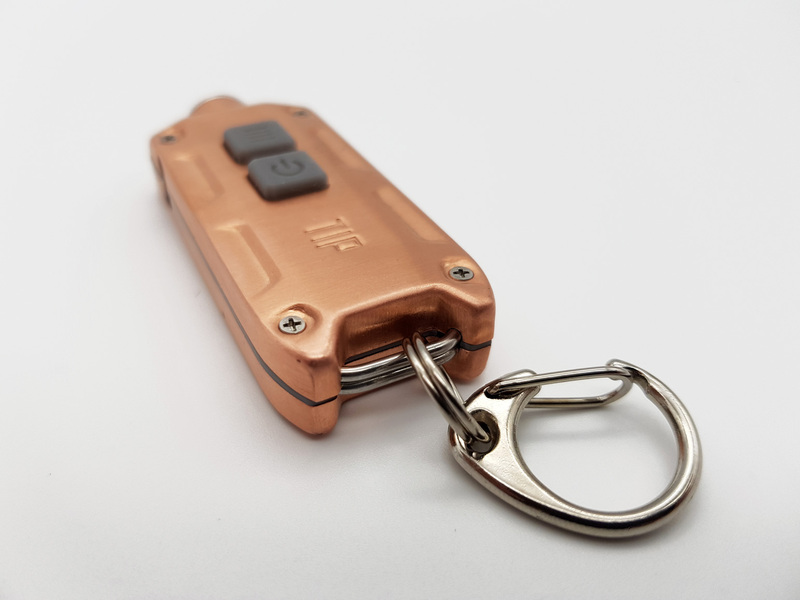 The main features of the keychain torch are listed in the back. 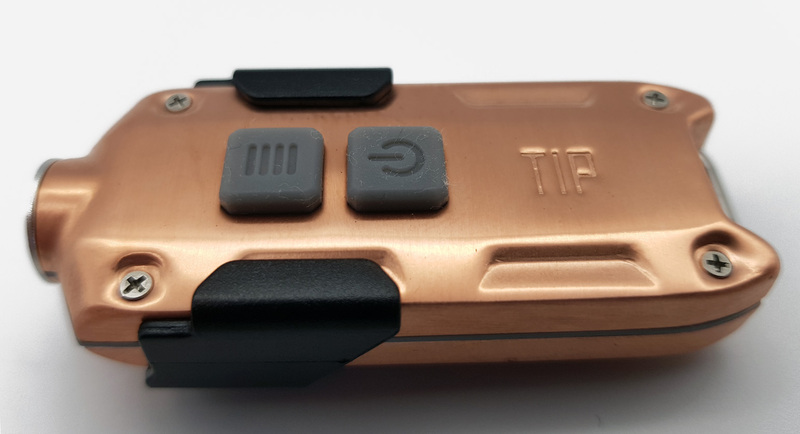 The Clip supplied with the Nitecore TIP Cu is the one already seen in the TIP model 2017. Very nice design and good construction. It is worn discreetly even if the length is not so great. 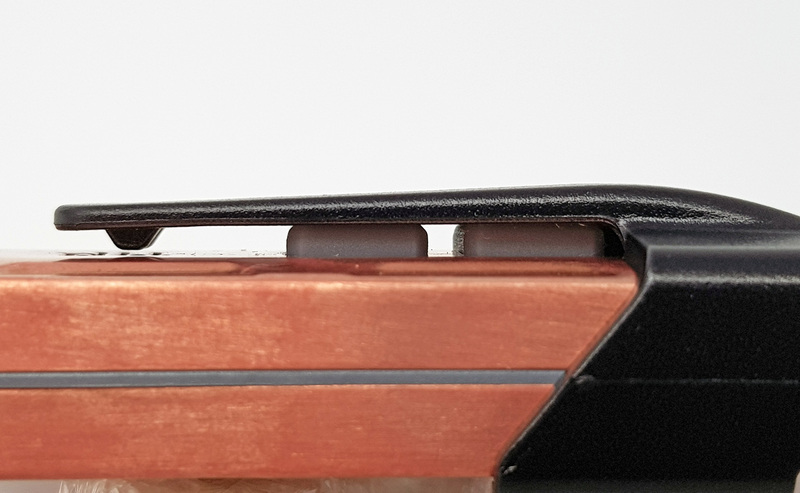 It can be inserted from both sides of the TIP, getting stuck in the appropriate grooves on the torch body. 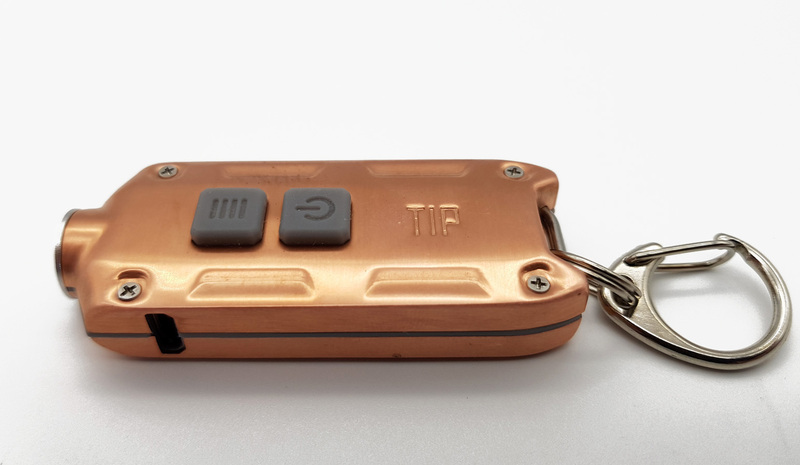 The Clip mainly aims to protect the TIP Cu USB port from possible infiltrations of water and dust. 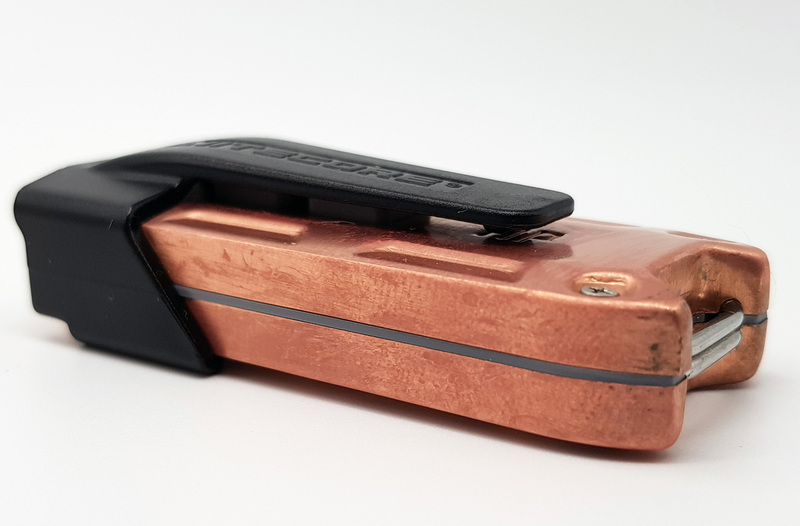 By sliding the clip in its housing, we will completely cover the micro-USB charging port. 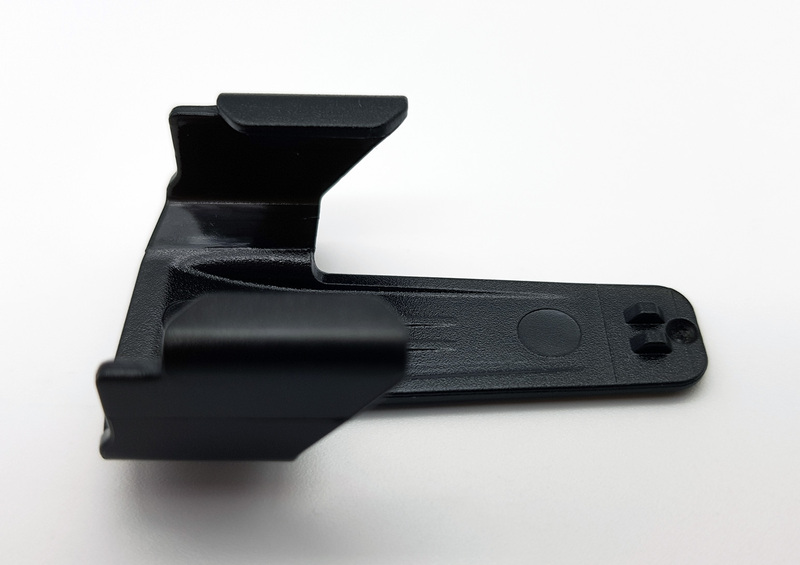 The clip can be inserted on the side of the two rubber buttons, covering them completely. In this way we have protection from accidental power-on. 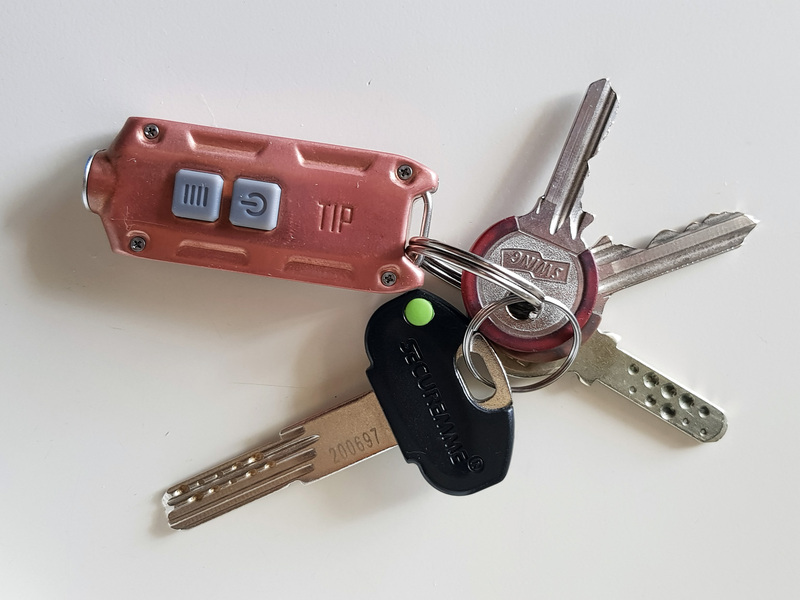 In the package there are also two key rings and a small spring-loaded carabiner. 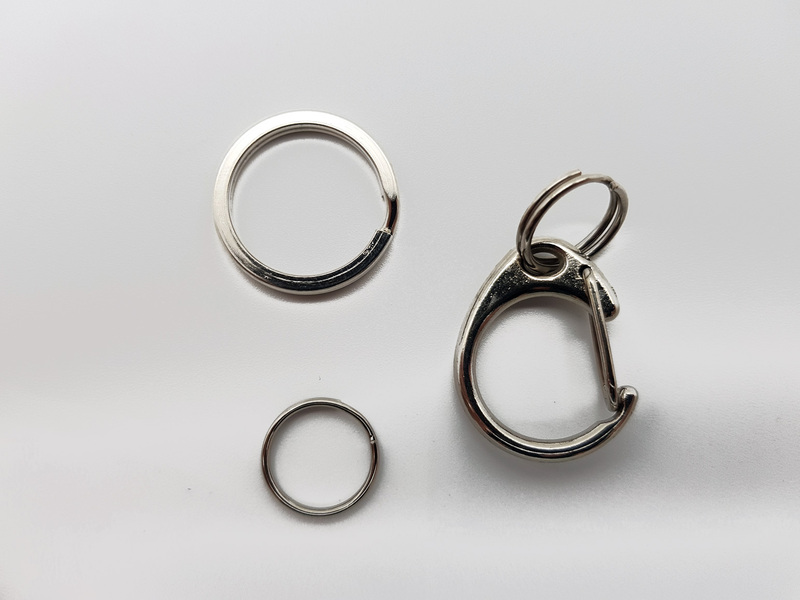 These will be hooked to the double metal ring, wide and very resistant, present at the tail of Nitecore TIP Cu. 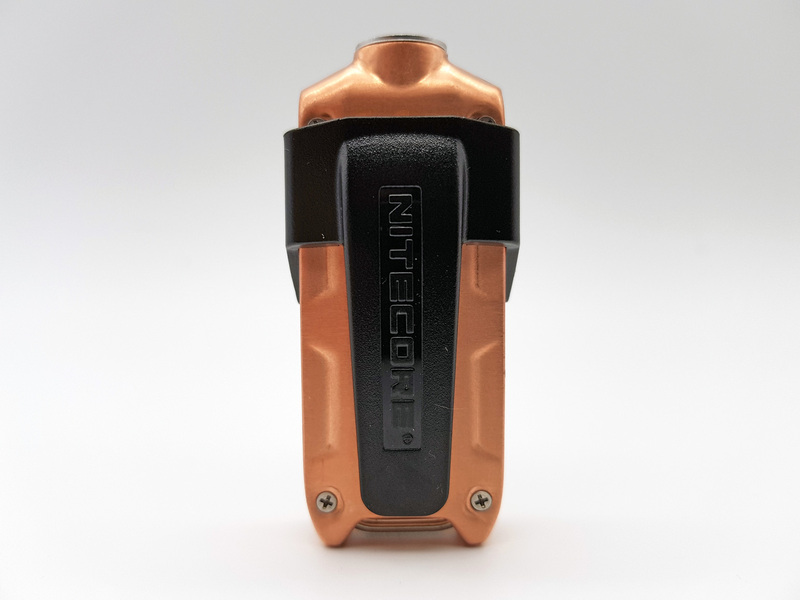 Nitecore TIP Cu has an external copper structure. 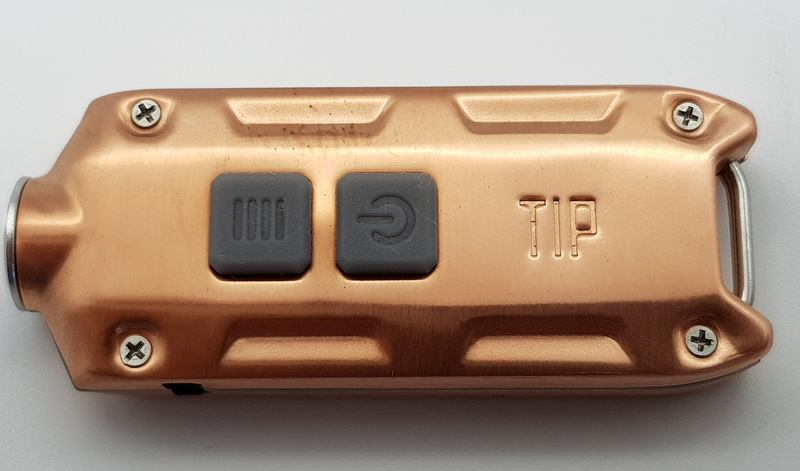 Very beautiful to see the color of the copper that over time will oxidize giving the TIP Cu a vintage appearance. 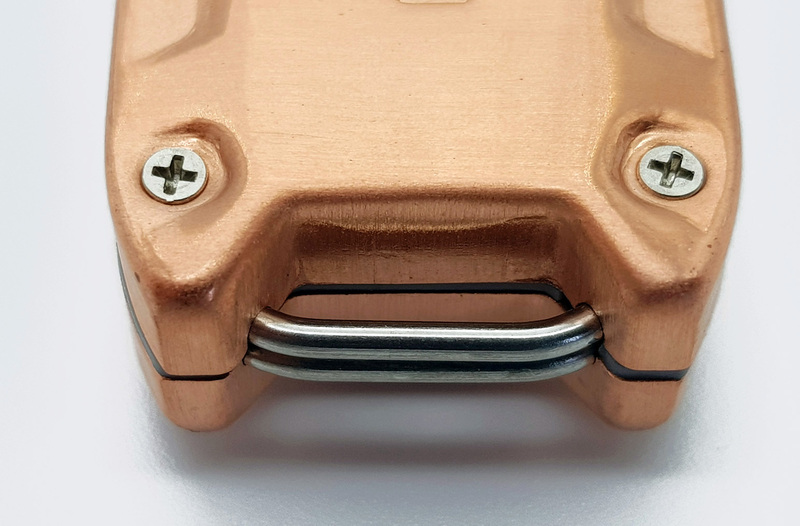 There are 8 small cross-shaped screws, four on each side, which hold the copper structure together. 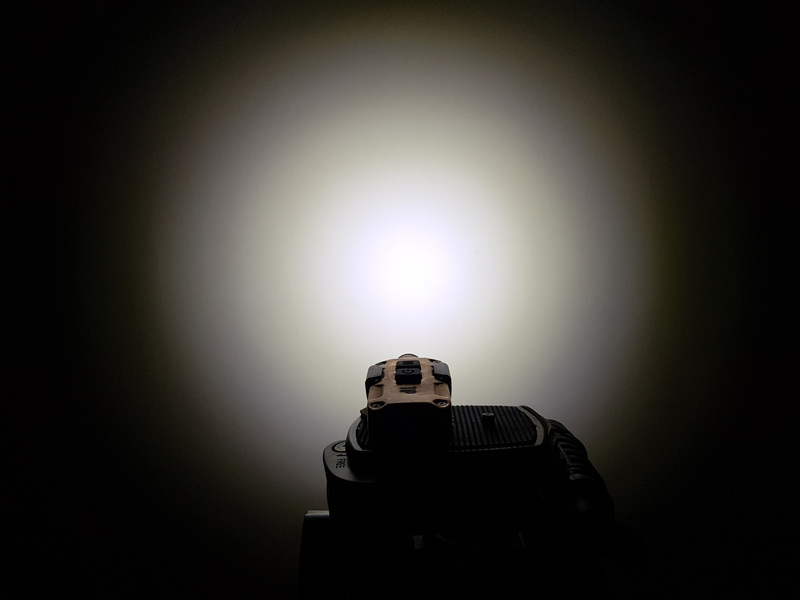 At the front we find the reflector with the small OP dish (Orange Peel) with the CREE XP-G2 S3 LED in the middle. Around this we have a protective bezel of the lens that has anti-reflective treatment. From the upper side we find the two translucent switches with which we will manage the user interface (UI). These rubber buttons, of fair size, have a short stroke and emit an audible click. They differ from each other thanks to a different design that distinguishes them. 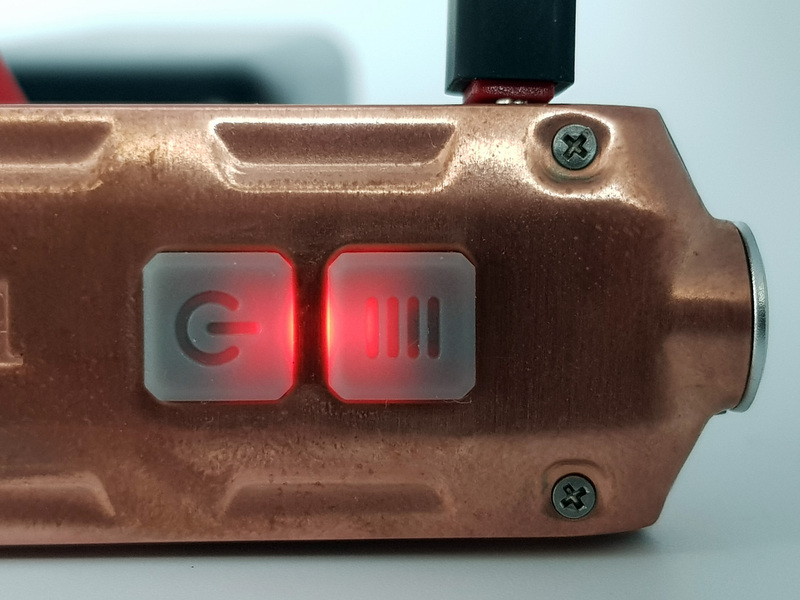 The keys are backlit in various situations; when we recharge the TIP (red when charging is in progress and green when charging is completed), by pressing the mode selector while the light is off (red to know the remaining charge) and to warn us to recharge the built-in battery ( flashing red). 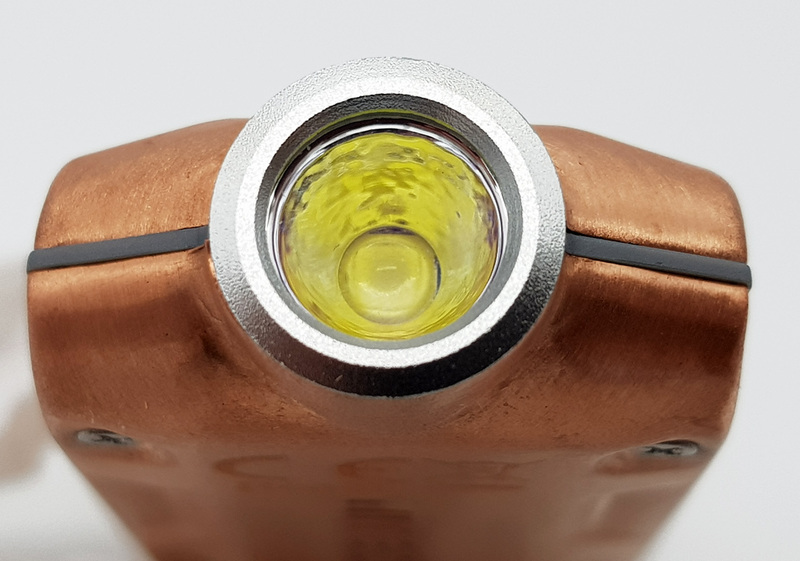 Highlights on both sides of the TIP Cu the inscriptions engraved TIP and NITECORE and the inscriptions bearing the CE and ROHS certifications. 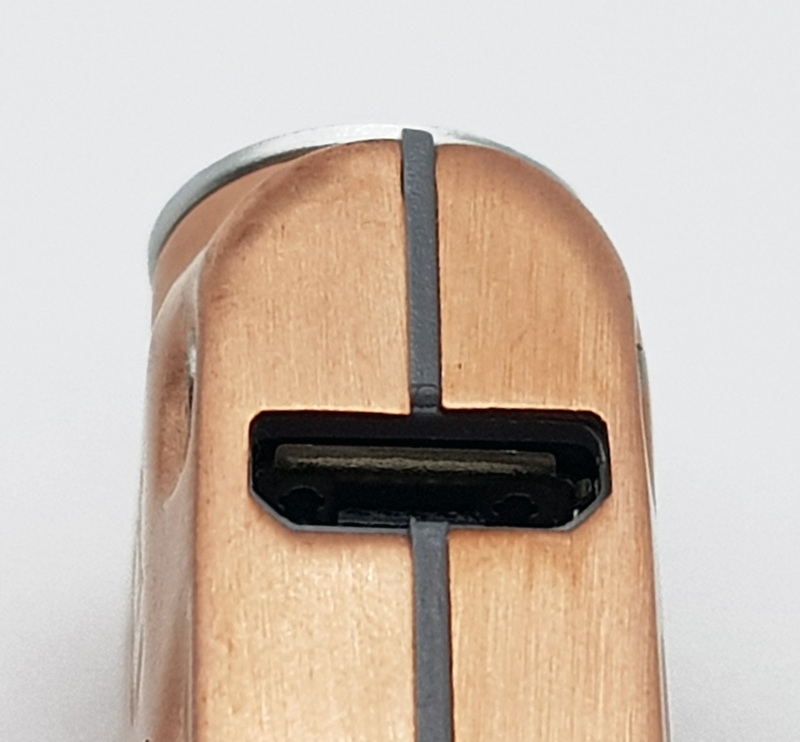 On one side of the TIP Cu at the top is the USB charging socket. 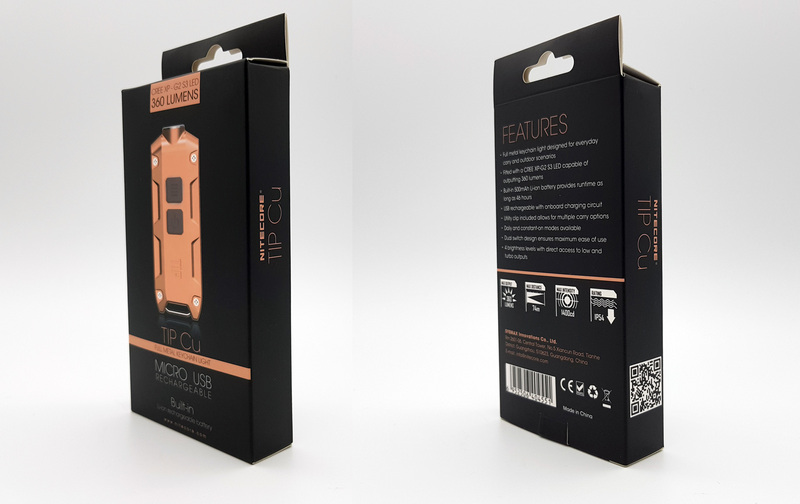 This micro-USB socket has no protection as it is covered, if necessary, by the clip supplied with the torch. The very common charging cable is not included in the package but sold as an accessory. 1. Connect the TIP Cu to a power supply with a USB cord as illustrated in the diagram.It takes approx. 2 hours to fully charge the battery. 2. 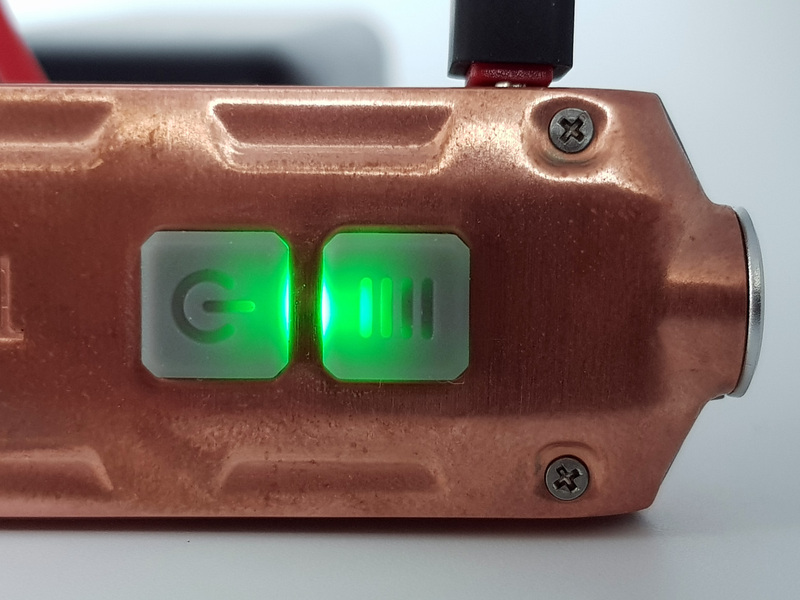 The built-in red indicator will turn on to indicate the battery is charging and will turn green upon completion. Note: Recharge the product when the built-in red indicator lashes. 1. 3 lashes represent battery level above 50%. 2. 2 lashes represent battery level below 50%. 3. 1 lash represents battery level below 10%. 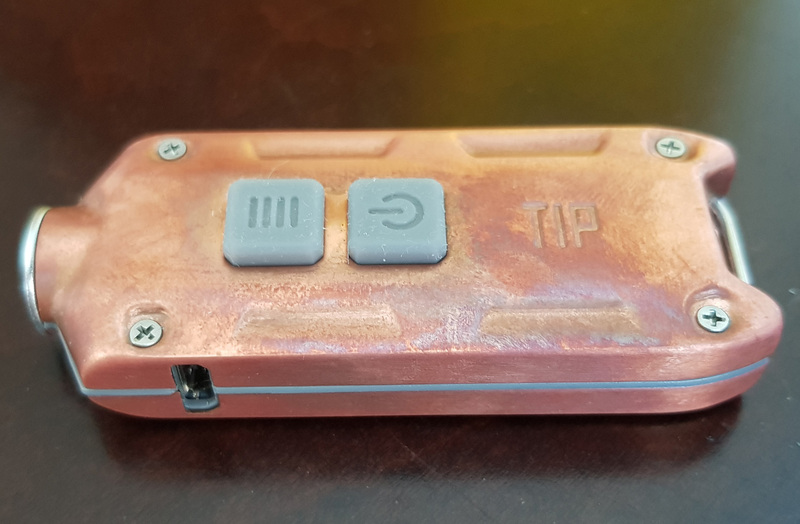 The consumption of standby battery is negligible, TIP Cu exploits the advantages of a low power consumption management chip that significantly reduces standby power consumption (less than 5uA). Standby duration up to 1 year. 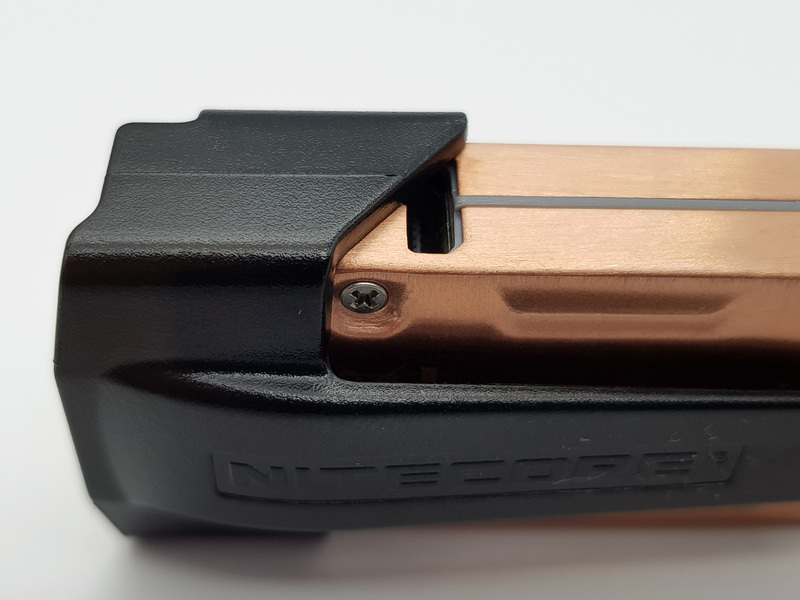 The Nitecore TIP Cu can be placed in tail standing (candle). 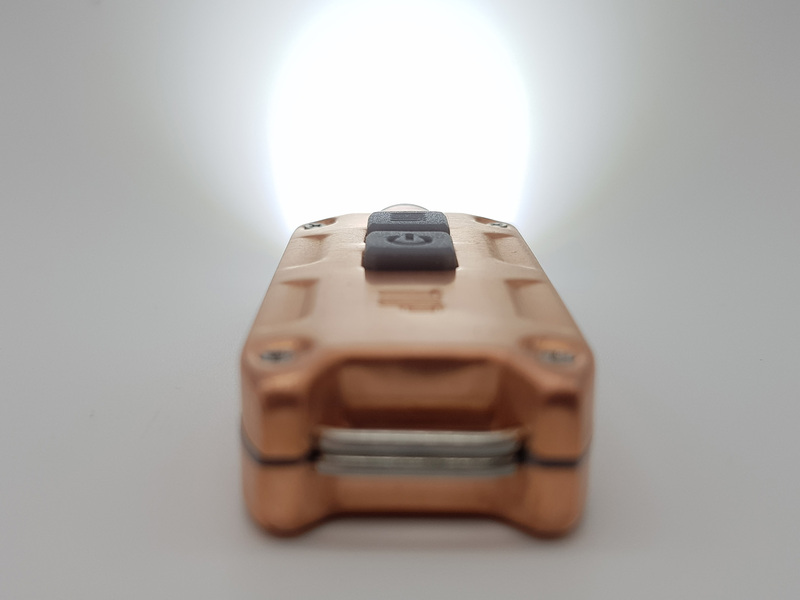 The Nitecore TIP Cu has four brightness levels. 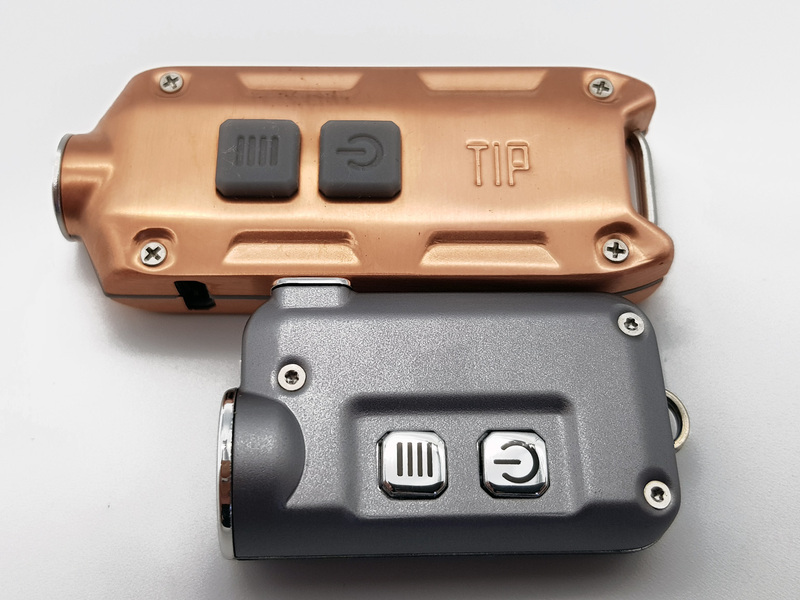 TIP Cu comes with 2 modes users can switch between them depending on user preferences. The two modes are: Daily mode (daily mode) and Constant-on mode (constant mode). 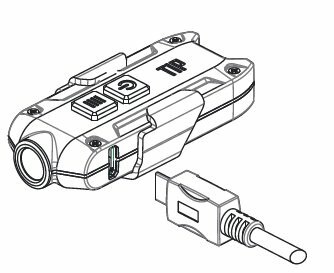 Mode switching: Hold down both switches until the LED flashes to switch between modes. 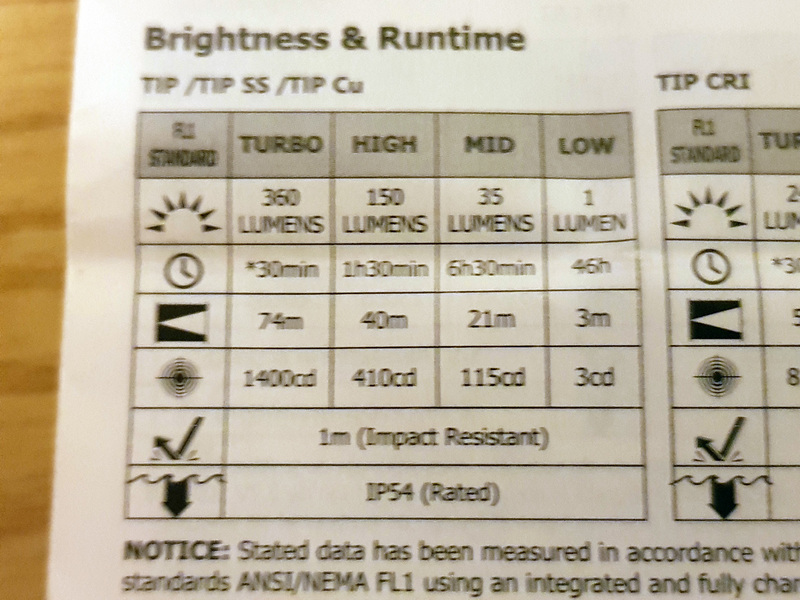 A single flash indicates “Daily mode” and a double flash indicates “Constant-on mode”. Daily mode: Press the power switch to turn the light on. The light will automatically shut of after 30 seconds in this mode. 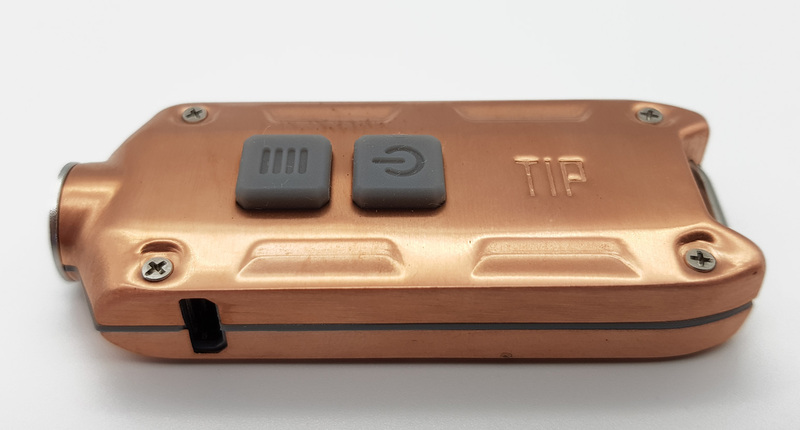 While in daily mode, the TIP will make a one-time switch to “Constant-on mode” if the light is turned on again within three seconds of automatic shut of. Note: Daily mode is the default factory mode. Constant-on mode: Press the power switch to turn the light on.The light will stay on until the power switch is pressed again. 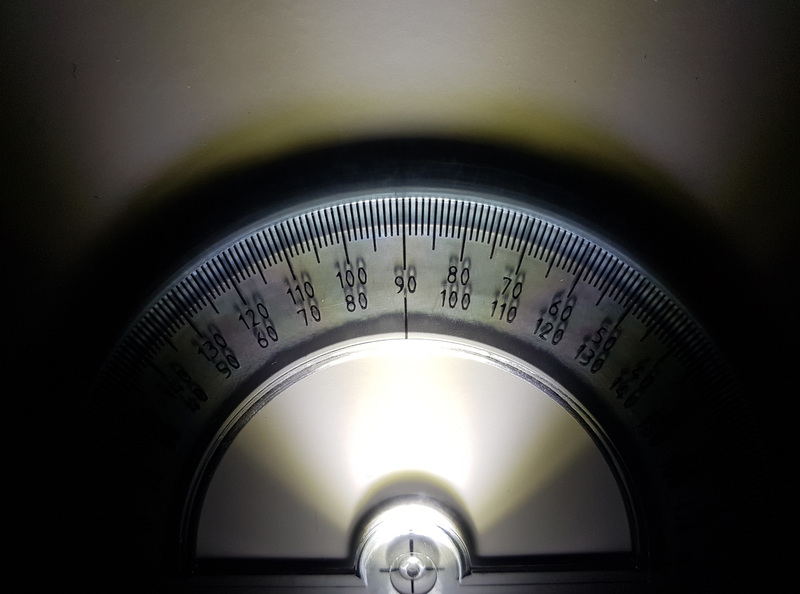 With the light turned on, press the mode switch to adjust the brightness to the next available level, brightness will cycle through the sequence of low-mid-high. There is a memory function accompanying these modes, it will resume the last setting where the TIP Cu was turned of when turning it on again. 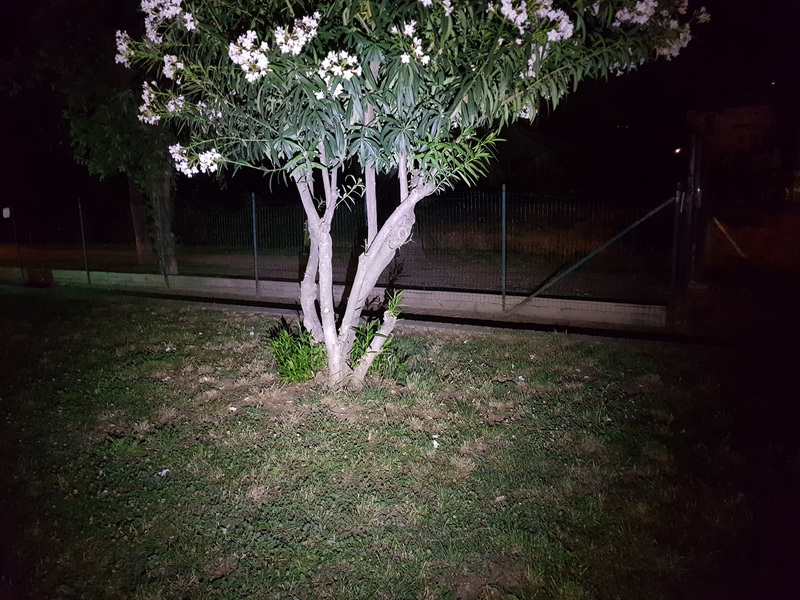 • When the light is turned off, hold down the power switch for 2 seconds to enter momentary illumination on the “low” setting. The light will turn of when the switch is released. 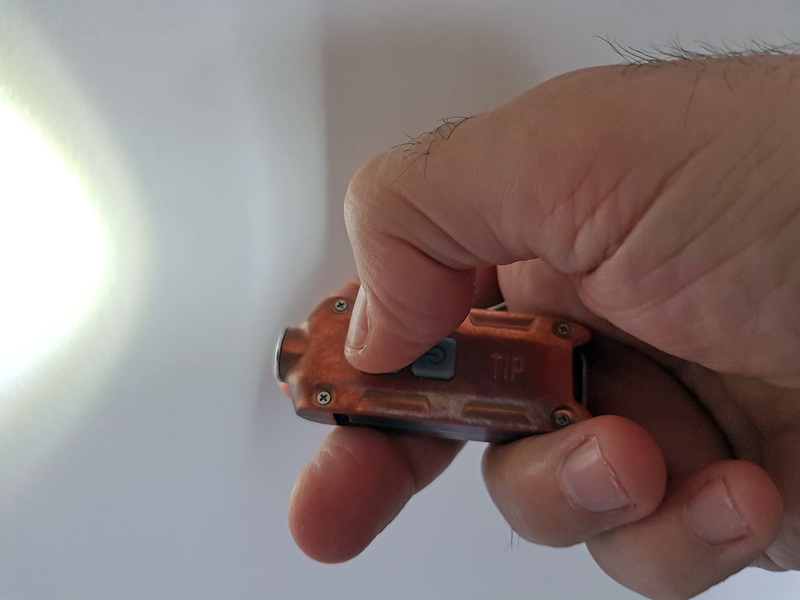 • When the light is turned on, hold down the mode switch for 0.6 second to enter turbo mode, releasing the switch reverts the brightness setting to previous mode. 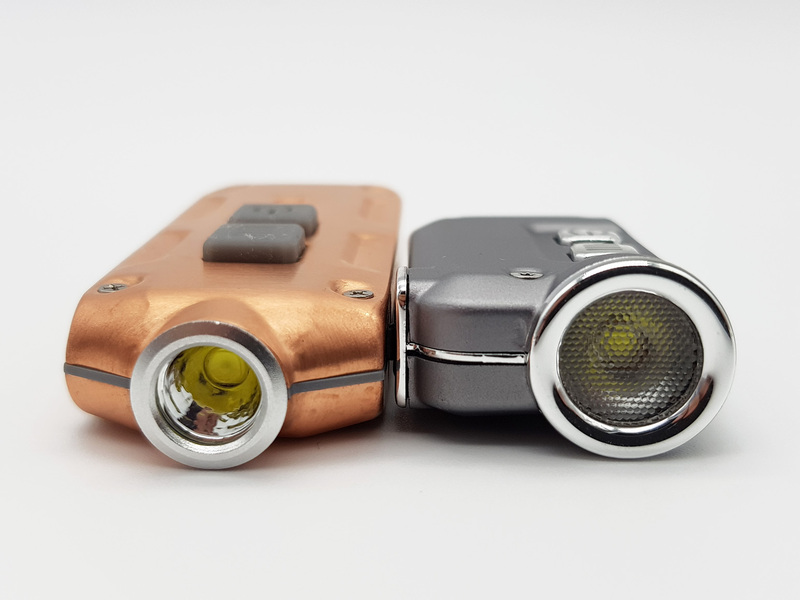 • Press and hold the mode switch for more than 0.6 seconds to enter Turbo mode (360 lumens).Turbo can be directly accessed while the light is on or of. 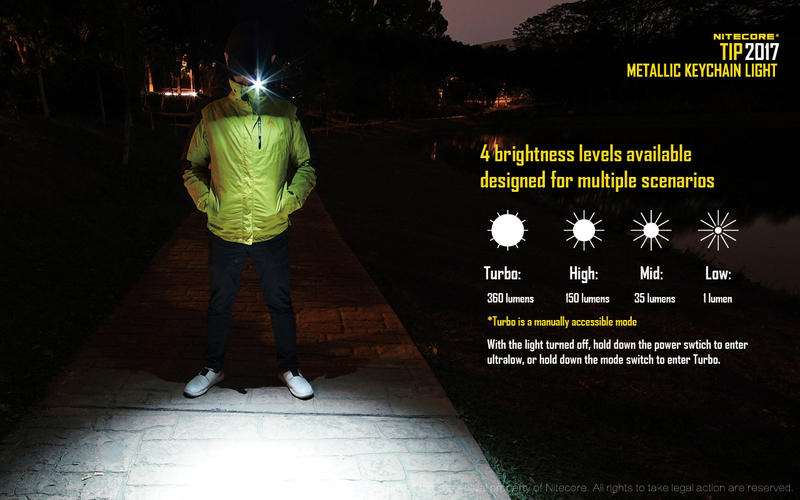 • With the light turned off, press and hold the power switch for more than 0.6 seconds to enter Low mode (1 lumen). in this mode for 30 seconds.This is designed to prevent overheating and to protect the built-in battery. environment, therefore maintaining optimal performance. 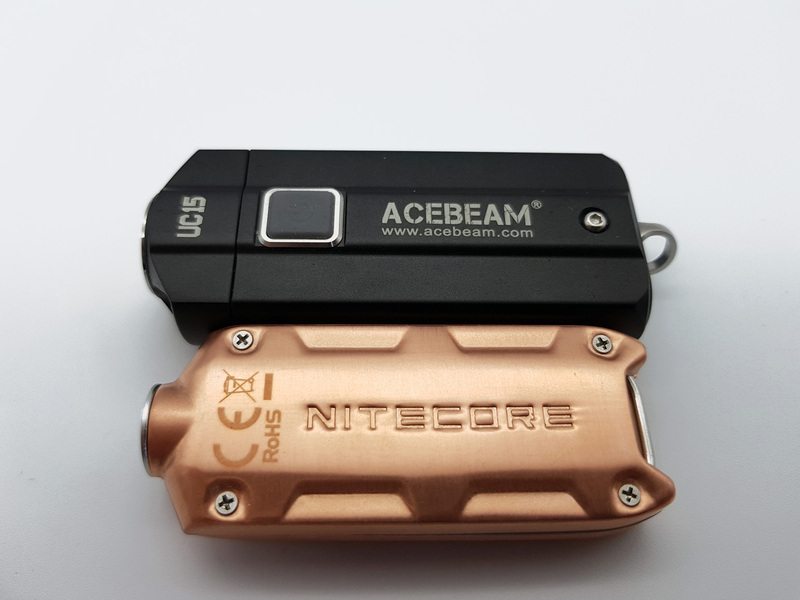 Good Nitecore TIP Cu beam without strange artifacts. 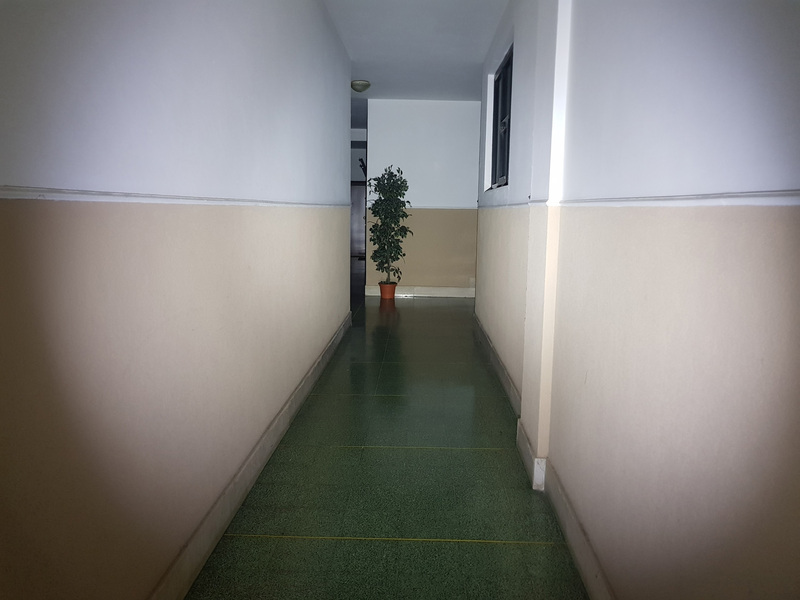 Only by projecting the beam 30 cm from the wall, the crown of a yellowish hue is noticed around the white spot. 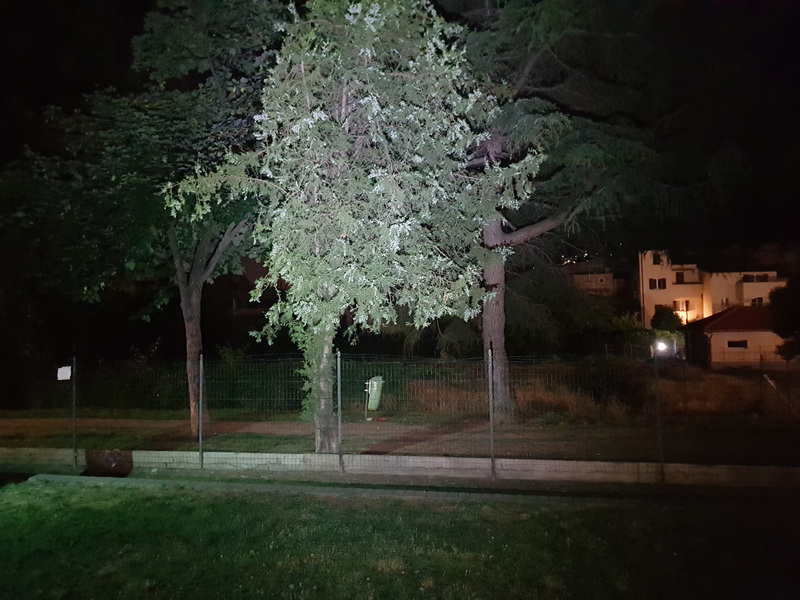 In normal conditions of use this is not noticed and you can appreciate the beam with spots and spill well coated and a nice cool white (cool white). 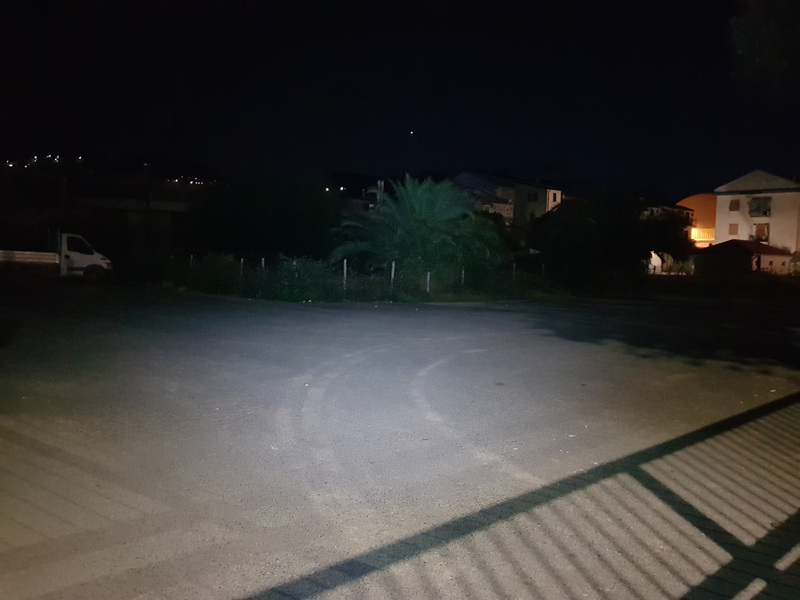 The TIP Cu beam, being completely diffused with a wide covering angle, completely illuminates the walk area. The real distance covered (in Turbo) by the small TIP is about thirty meters. 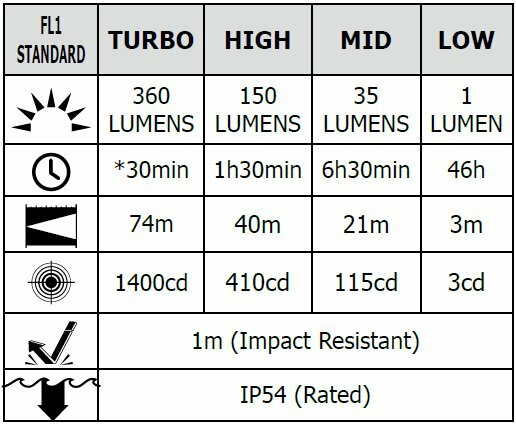 I have not noticed any PWM in all four levels available. 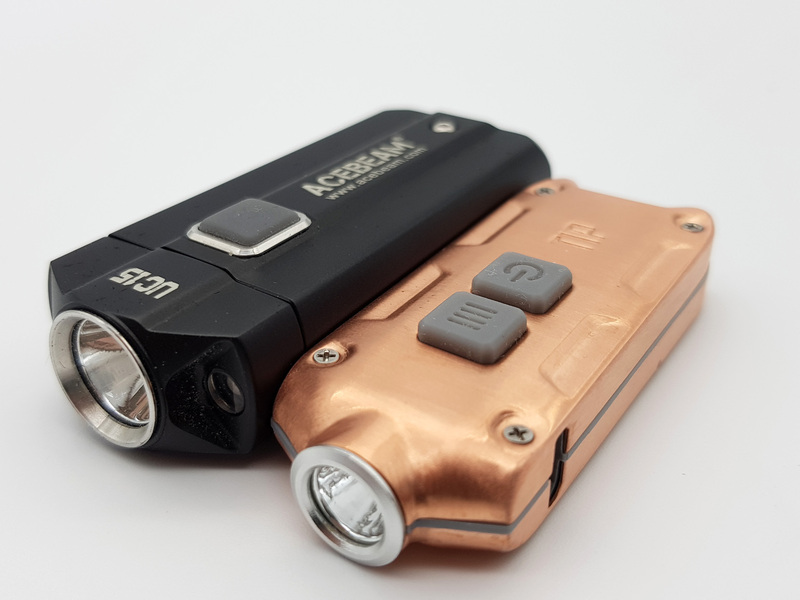 The runtimes were carried out in a closed environment with a temperature of about 25 ° C.
The Nitecore TIP Cu battery has been fully charged. 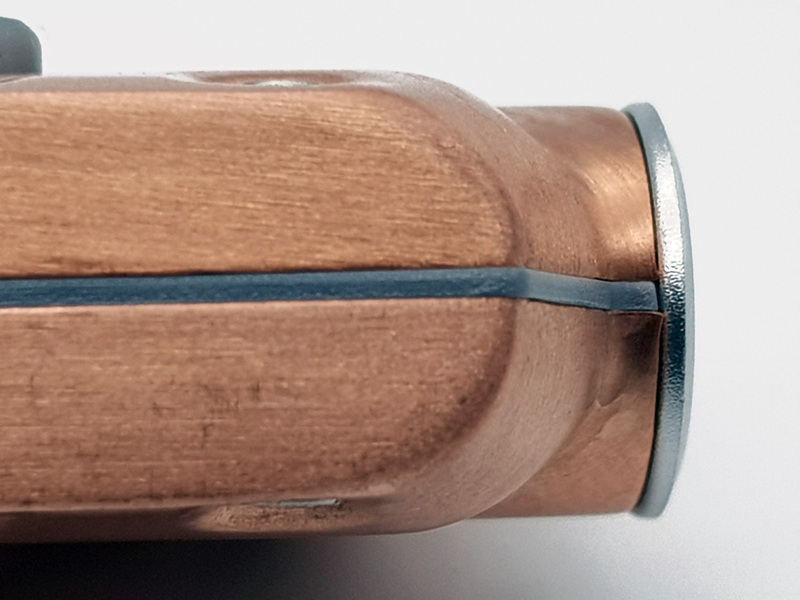 The first test was done by putting the TIP Cu in TURBO. The working time of the small tip Cu is excellent. The second test was done under the same conditions as the first but with the TIP Cu in HIGH. 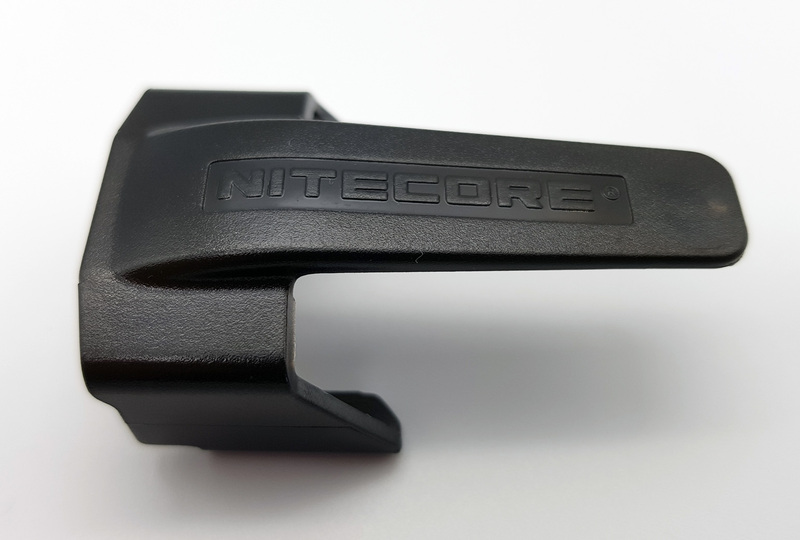 The Nitecore TIP Cu is confirmed as one of the best keychain torches. Lots of light and autonomy. Too bad that the complete protection against water and dust is not guaranteed. 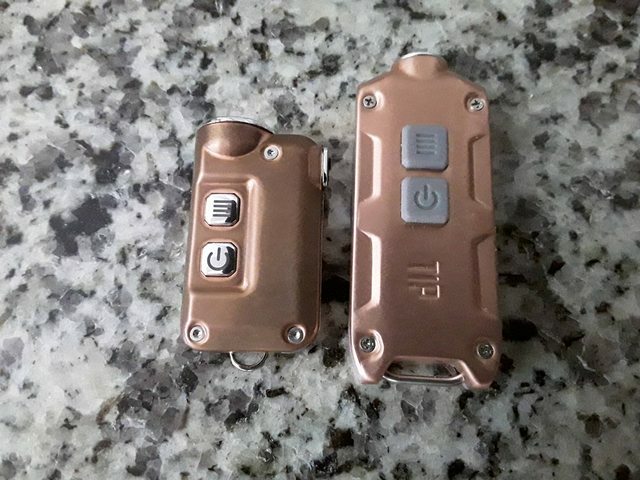 The copper version is very beautiful even if naturally in contact with hands and air after a while it darkens, however, acquiring a special charm. Do not miss it for lovers of this kind. 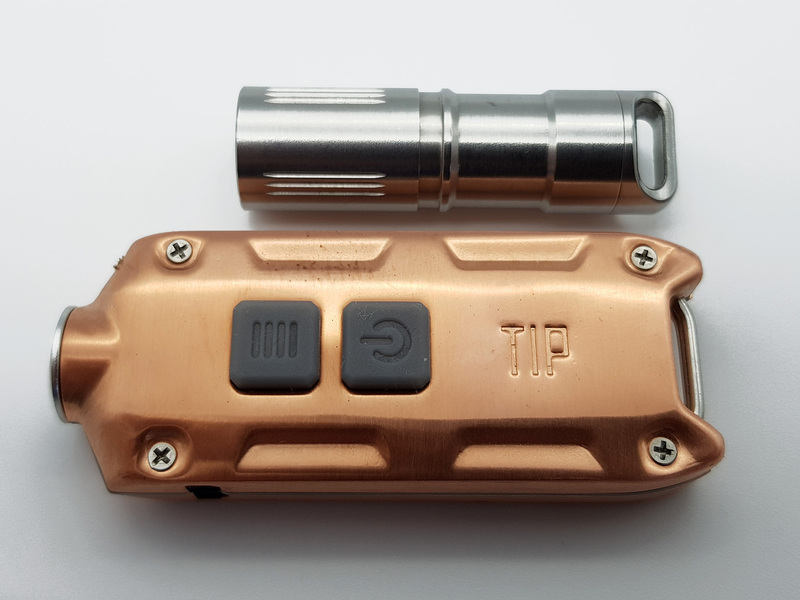 I ended getting both TIP and TINI in copper. Can’t imagine needing more output than these guys provide. 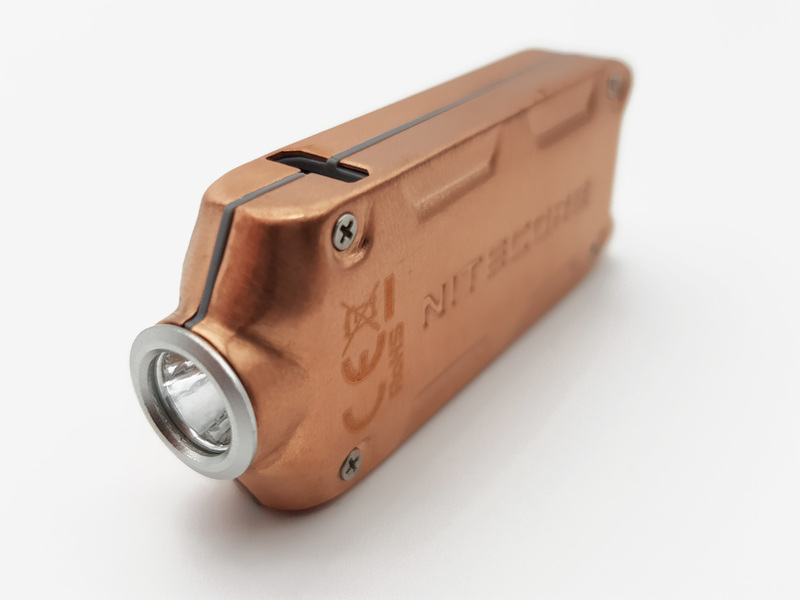 Basically seems to perform almost exactly the same as the non-copper (aluminum) version of the Nitecore TIP, right? 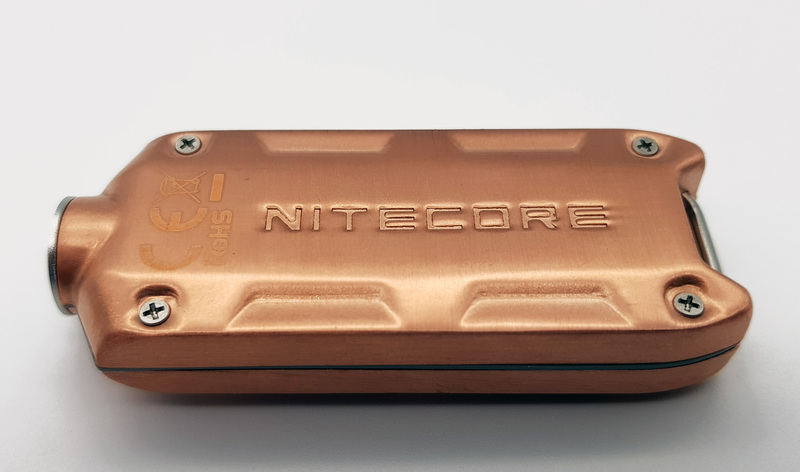 Albeit in copper. Copy & pasting your image link, it’s now bigger and easier to read (on my Windows desktop browser — not sure if it resizes for other platforms ).. Very good review. And your pictures are excellent!! Thank you…. 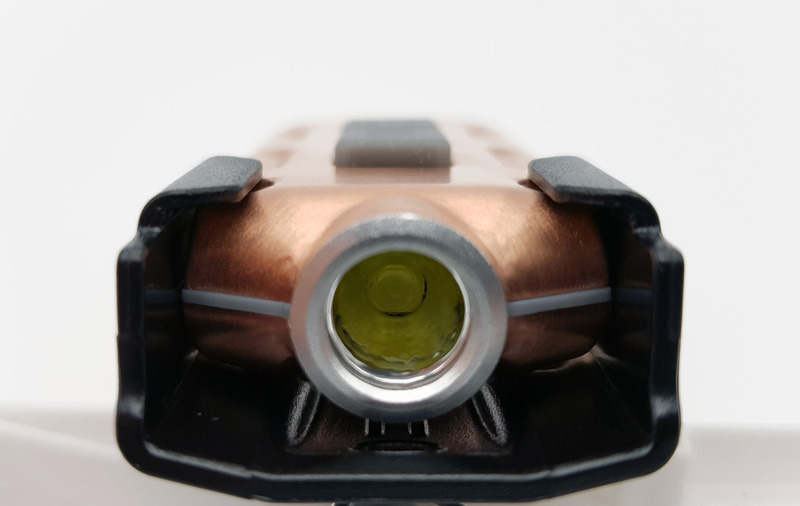 wow, I really dig the copper variant of this little fella. - still no waterproof USB Port! Good light nevertheless and an excellent review for sure! I agree with the incomplete permeability. For the rest I think that the next versions may have something requested by you. Also, the weight. While it’s not heavy, it’s still 50% more heavy than the regular tip. I think being extremely light is one of the main benefits of the tip. Making it heavier… well, it turns it into more of a show light. Thanks for the review, nice pictures.